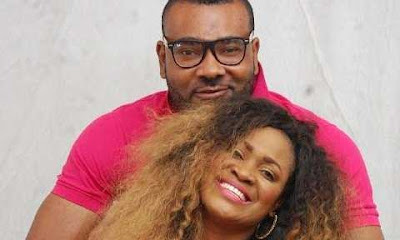 Prince Eke a Nigeria actor ranted on social media that his wife Muna Gee a singer ran to Abuja and abandoned their children. Muma significant information, i did not abandoned my children, i only traveled to Abuja for a show. During a brief phone chat with Saturday beat media, she said i did not abandoned my kids and ran to Abuja. i only only went for my carrier. and at that calling point, i was in the meeting via the show. This shows that something isn't going well in the relationship. Shortly after, he updated another post saying, i am a father of three. When she was asked if she eventually Abandoned her children, she refused to comment on that and the next thing she said was, i have a new album that my husband should help me market. Advice: No matter the nature of your job, women are to keep their house in order and always inform their husband on things that are important.